Over the next few blog posts, we will be talking about each of these chiropractic digital marketing factors to explore the why, how and everything in between. Did you know that 85% of consumers trust online reviews as much as personal recommendations? That means your online reputation is just as important as your real-world reputation. 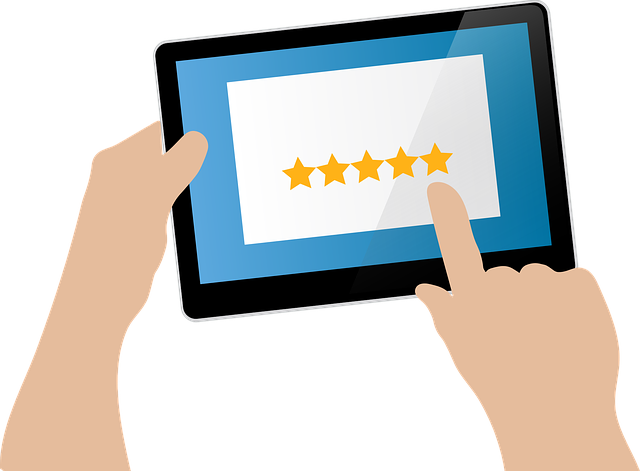 So now that we’ve established the importance of reviews, let’s talk about how to get these reviews and what the rules are around collecting online reviews for your chiropractic practice. Don’t review your own practice or ask your staff to review it – All reviews should come directly from your patients. Google can tell the difference (IP addresses and Google account logins will give it away). Don’t narrow your focus to a single review site – It’s better to diversify your reviews so that all of your chiropractic marketing eggs are not in the same basket. This may seem like a lot of don’ts but once you’ve mastered avoiding these pitfalls, you can move on to experimenting with how to get more online reviews and boost your chiropractic marketing. It’s a great goal to have at least 7 reviews on a Google My Business listing. After that, it’s better to diversify your reviews. Aim to get reviews on sites such as Yelp, Yellowpages, Facebook or other review sites popular in your area. Simply put in your practice’s name and zip code and it finds the Google business listing and gives direct links to leave a review. Just make sure that it is the correct practice listing and there are not duplicates of your Google My Business Listing. It’s particularly effective to ask after a few visits when the patient is starting to feel better. Simply, create an email template that you can easily copy and paste as part of a routine follow up with patients. Don’t forget to include the link to the review site you’d like people to post to. Once you hit your review goal for Google change the link to another review site. Can’t forget to diversify! They have the key reviews and testimonials on the first page but there is an option to see more without overwhelming visitors at first glance. So that’s why online reviews are important, the do’s and don’ts, and how to integrate your online reviews into your chiropractic digital marketing. Online reviews are vital to 21st century chiropractic practices. They can be key in getting more new patients from the Internet. If you’d like to learn more about how Perfect Patients monitors the online reputation of our clients, then click here. 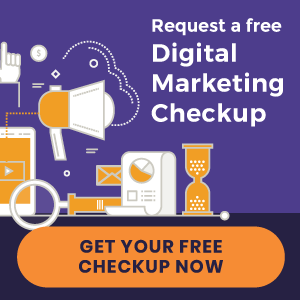 If you’d like to talk with a chiropractic digital marketing expert about your online reputation and how it affects your SEO, you can get a free SEO review here. 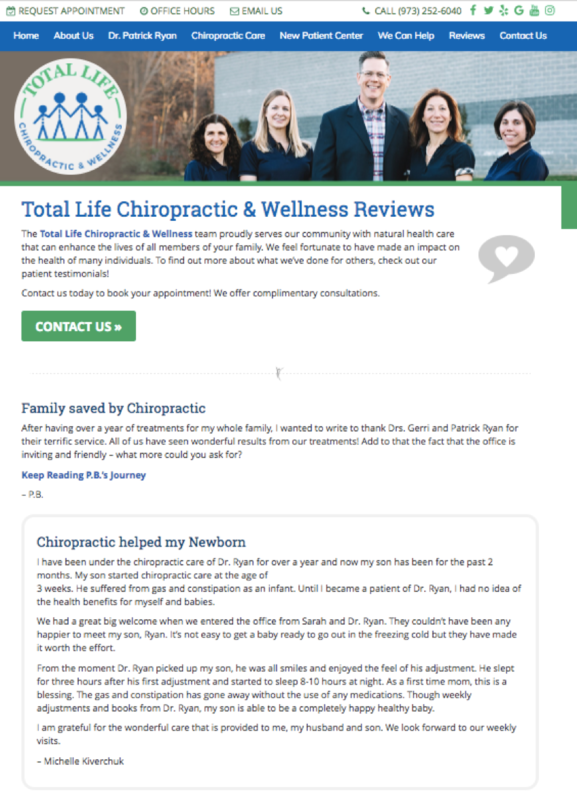 « Introducing New Chiropractic Websites for Niagara Family Chiropractic and more!